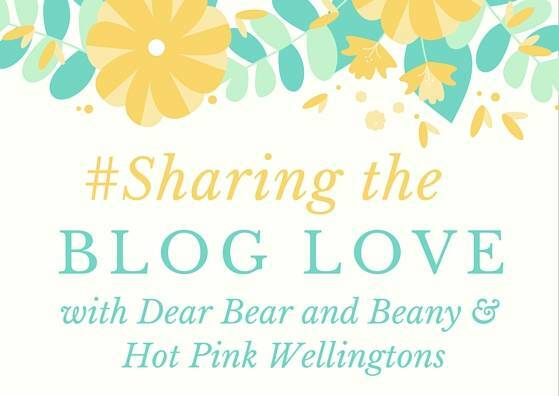 Welcome back to week 21 of #SharingtheBlogLove. The linky I run with my lovely friend Katy from Hot Pink Wellingtons. Katy and I have decided to close the linky on a Sunday at midnight, instead of Tuesday. We’ve noticed that people who are linking up late on a Tuesday are missing out on lots of lovely comments with it being open that long. Most people get their commenting done within a few days of joining a linky.